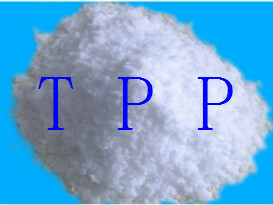 Triphenyl Phosphate TPP packaging - ZhangJia Gang YaRui Chemical Co., Ltd.
Our company is the import of Triphenyl Phosphate TPP packaging net weight of 25KG/ composite paper bag sealing good (lined with black plastic bag). Triphenyl Phosphate TPP packing: net weight of 25KG/ composite paper bag (lined with black plastic bag), a small cabinet loaded 12.5 tons. Delivery: FOB China Shanghai port, cargo from customs inspection to the fastest one week after, the slowest ten days. In view of the domestic and foreign demand is relatively small customer, packing three phenyl ester phosphate also purchase in small package. If you have special requirements on the Triphenyl Phosphate TPP packaging, please contact us, to cooperate with the customer's packaging. If Triphenyl Phosphate TPP packaging product is not what you want, we can be customized according to your needs, please send us your order to Email: sales@yaruichem.com , or click here to post your buying lead.